AMD has finally unveiled its much-awaited Radeon Pro Vega graphic card. The card features the latest and greatest Vega architecture and is set to power Apple’s all new iMac Pro. 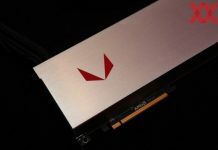 Radeon Pro Vega will be powered by the much-improved Vega 10 GPU. 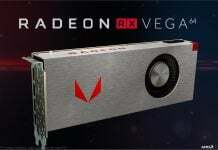 The same GPU is also said to throttle AMD’s upcoming beasts – the Radeon Vega Frontier Edition and Radeon RX Vega. 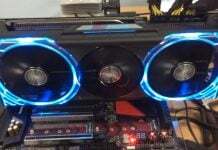 However, this specific card delivers Vega 10 in two different avatars – a full-fledged and a skimmed version. 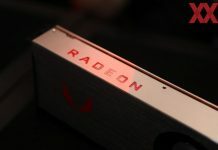 The skimmed variant of the card Radeon Pro Vega 56 will be powering the standard iMac Pros, with only 56 compute units & 8GB HBM2 memory, while the full-fledged variant Radeon Pro Vega 64 will be an upgrade option with “Vega 10 XT” GPU configuration, all of its 64 compute units & 16GB of HBM2 memory. The skimmed variant of the card comes with 3584 GCN stream processors, 224 texture mapping units (slightly less than its elder sibling), but manages to deliver 22 TFLOPS of graphics horsepower and a whopping 400GB/s of memory bandwidth. 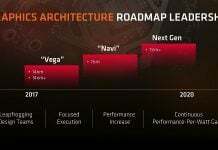 High Bandwidth Cache Controller – With its new architecture, AMD is introducing a number of improvements. In Vega 10, the HBM2 memory comes with a High Bandwidth Cache Controller, which works to stream data seamlessly in and out of the memory, allowing Vega GPUs to have an address space of up to 512TB. However, this space is limited by the system’s overall storage space. The Next-Gen Compute Units (NCUs), another major upgrade from AMD, provide super-charged pathways for doubling processing throughput when using 16-bit data types. In cases where a full 32 bits of precision is not necessary, they can pack twice as much data into each register and use it to execute two parallel operations. This proves effective while performing intensive tasks such as image/video editing, ray tracing, AI, and game rendering. 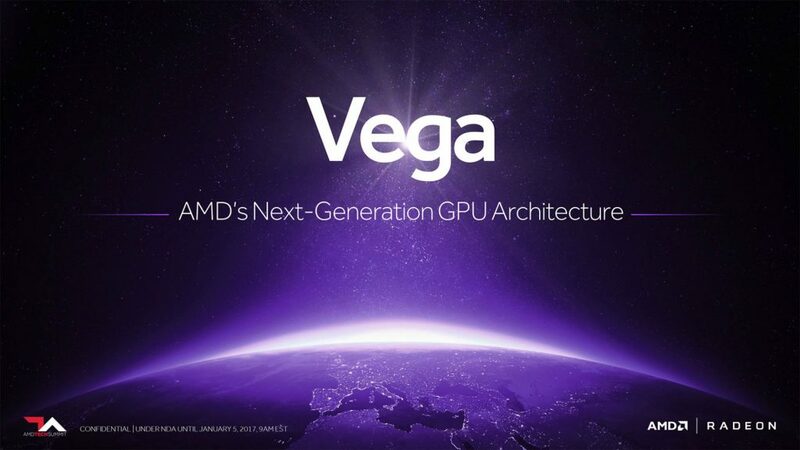 Geometry Engine – Vega doubles up performance per clock with a new programmable geometry engine. The new primitive shader discard capability bundled with this engine brings faster tessellation and rendering of complex geometry and detail-rich scenes. Radeon Pro performs geometry culling at an accelerated rate, eliminating unnecessary work for the rest of the GPU. An advanced workload distribution mechanism then assigns processing tasks to the available pipelines in a way that maximises their utilization and avoids idle time. As a result, the card renders complex 3D models and scenes smoothly in real time. Along with this, it also features a Primitive Discard Accelerator for power saving. This technology detects parts of geometry that are obscured by other objects and discards them, keeping only visible parts of the scene and saving a huge amount of energy. 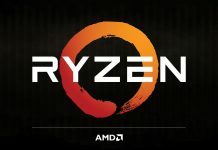 Pixel Engine – The architecture also deploys AMD’s brand new Pixel engine, which breaks the work into batches, allowing it to enter the cache directly rather than residing in memory. It saves power, cycles, increases overall bandwidth and renders the scene faster. The new pixel engine has also been linked directly to the on-chip cache rather than the off-chip memory. This way, the developers get some key optimization opportunities on their gaming consoles. Among other improvements, the new shade-once technology analyses pixels early in the graphics pipe and discards those hidden behind other objects in the scene. Simply put, it can be described as another power-saving feature which works just like the Primitive Discard Accelerator, but on the pixel scale. For more info on the new architecture visit here.